Don't want a bulky spray bottle, these spraybottle are great for spritzing water or other non corrosive liquids. 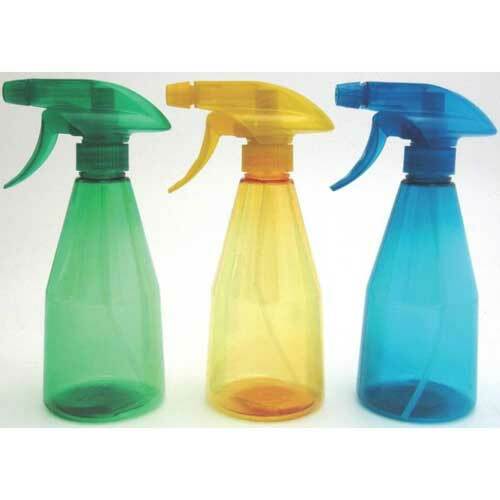 These small 14 oz spray bottle come in various colors (you will receive 1 of the 3 colors pictured). PET Sprayer In Assorted Designer Colors. Adjustable Spray Nozzle For Multiple Applications Including Watering Plants, Household Cleaning, Ironing And Spritzing Hair.